Why would I need self storage in Gardena, CA? There are a variety of reasons why you might need self-storage in Gardena, CA. How much is a storage unit in Gardena, CA? The cheapest storage unit in Gardena, CA is $62.00 per month. What size storage units do you have available in Gardena, CA? In Gardena, CA we have sizes that range from 4'x5' to 10'x30' to suit your storage needs. How much is it for a 4'x5' storage unit in Gardena, CA? The cheapest 4'x5' storage unit in Gardena, CA is $88.00 per month. Gardena is a conveniently-located city in the South Bay region of California's Los Angeles County. It's close to every major freeway in Los Angeles County and just a short drive south of downtown Los Angeles. 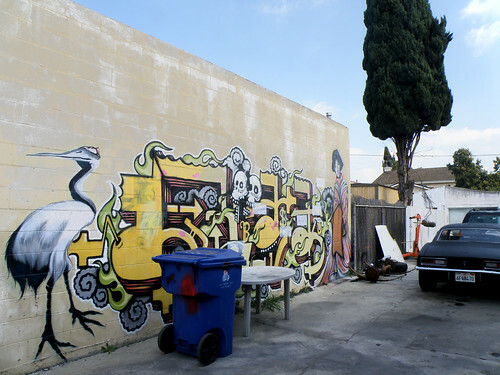 Gardena is an extremely diverse area, home to one of the largest Japanese-American communities in the nation. Archaeologists have found evidence of human activity dating back thousands of years in the area of present-day Gardena. It likely existed as a popular spot for hunting and fishing for the Tongva tribe, and Europeans didn't arrive in the area until the late 1700s. The land changed ownership through a series of land grants, eventually being purchased by large groups of Civil War veterans, farmers and ranchers in the late 1800s. They transformed the area from a collection of rancho estates into a residential community. The city's growth really took off with the arrival of the railroads in the 1880s. Gardena was officially incorporated in 1930 when it merged with the nearby neighborhoods of Moneta and Strawberry Park. Modern-day Gardena bears little resemblance to the farming community it was back then. Today it's a vibrant residential and business center that's home to numerous businesses, attractions and a diverse population of residents. Gardena has enjoyed modest growth in recent years as more people have discovered its attractive surroundings, pleasant year-round weather and convenient location. There are a variety of local parks where you can enjoy the warm, sunny weather, with amenities like wading pools, sports fields and picnic areas. If you're looking to experience the local nightlife, Gardena's two local casinos can hold their own with the gaming establishments of Las Vegas. Both sites offer table games, restaurants and shows for patrons. In addition to providing plenty of entertainment, the city's casinos are also two of the largest employers in Gardena. Memorial Hospital, Ramona's Mexican Food, Sam's Club, USPS, Chromalloy Corpo. and Southwest Offset Printing also provide a large number of jobs in the city. The diversity of these businesses helps secure the local economy. The services industry is the largest business sector in Gardena, employing a large percentage of working locals. Retail trade is another major local industry. Many of these jobs are found in the city's numerous malls: Gardena Valley Shopping Center, Pacific Square Shopping Center, Gardena Gateway Center and Strawberry Square Shopping Center. Gardena's public schools belong to one of three school districts headquartered in neighboring cities: Centinela Valley Union High School District, Lawndale Elementary School District and the Los Angeles Unified School District. There are also several private schools in the area, most of them faith-based campuses. Garbage and Recycling: You can expect curbside collection of trash and recyclables in most areas of the city. You also have the option of requesting bulky item pick-up as needed. Transportation: There are several convenient public transportation options in Gardena, including bus and light rail. Gardena's family-friendly neighborhoods have a variety of homes to suit all tastes and budgets, including both small and large single-family homes, as well as budget-friendly apartments and senior care properties. Modern properties can be found in newer communities, which include Redondo Village, Emerald Square and Cottage Place. The median home price is higher than both the state and national averages but relatively affordable for the Los Angeles area. Our lowest priced units in Gardena, CA average $90.45 per month. 785 people have reserved units in Gardena, CA in the past 30 days. There are 11 locations within Gardena, CA's city limits. There are 4 locations in Gardena, CA that offer AC and Heating features.